Let us first explain you what safa means. 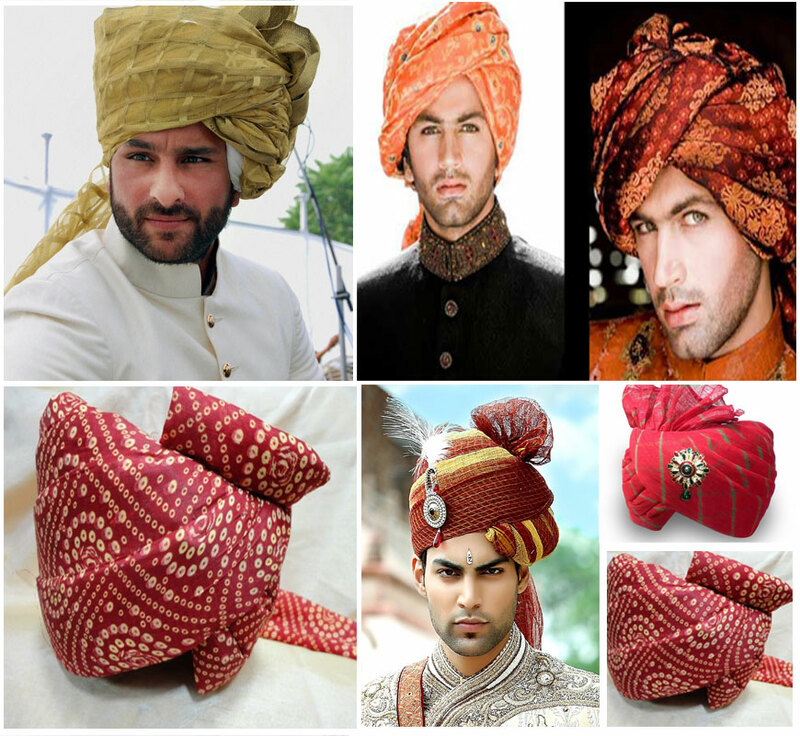 Safa is also called Pagdi that is tied on head on wedding function by both the families (the girl side and the boy side and other close relatives). The main color of safa for the wedding function is pink (Gulabi) according to the rituals that are followed by our ancestors that is still continued. Safa/Pagdi also signifies respect and proud, mainly wear by the Male of the family but generation has changed now even our pretty ladies show off with the Safa’s. Safa is most commonly used in wedding functions in India. Now the question is who to get Wedding Safa in Delhi for all your near and dear ones. The technology has made it so simpler that you don’t even have to go out in search to safa neither take ajeeb-o-gareeb suggestions of your adosi-padosi and just Google it and we will be there to help you out and you’re problem is solved, now don’t so say thanks. These days color combination is quite in trend. Ideally the main color that is considered best for the safa Is Pink but are exploring different color combination as a style mark. The tradition is more over becoming a trend in youth. For designers Safa and for best wedding safa in delhi you are at the right place. We are the one place where you can find all types, colors and shapes of Safa under one roof. And if you don’t know how to tie Safa then you can certainly go ready to wear Safa otherwise you must purchanse atleast 3 m of a cloth to tie one safa. So what are you thinking, hurry and reach us for Wedding Safa. We are eager to serve you, allow us a chance. Book Wedding Safa in Delhi, Contact us for further details. please call us +91 - 9540033330 . « Allure is the Team of Professionals with a Corporate Background, we know the value of service, Commitments, Deadlines « We are the Value for Money in Term of Service & the Comfort Offer to Our Clients. « We are One Stop Solution to Gift you Hassle Free Weddings & Events . « We are Flexible in Approaching your Desires & Idea to make them live the very day this makes us different from others . « We believe in Relationship Building & to take the Bond forward so that we are the first you think while Planning your Event or Wedding « We are a specialized Entertainment management company . « Top Wedding Planners in Delhi !